You may be on to something. So many incredible theories to explain previous ice ages, yet simple a simple random and prolonged shift of the Polar Vortex may be to blame. The increase in albedo would provide the required feedback mechanism. What…. isn’t this 2 times in 5 years (2014 and this year) that this has happened? The “polar vortex” happens every year. The difference is in how far south it goes. When it goes far south enough the weather media titles it a polar vortex but it’s just a more pronounced version of what happens every year. At least every year since I could understand weather reports which was some time in the late 1970s. Chicago is right on the normal southern extent of the dip in the jetstream. This gives us a week or two of very cold weather each winter normally. In cold winters it dips down further for longer and we could get the -20s as happened in the early 80s. In mild winters the dip stays up in WI and MN. Then most of the winter stays around the freezing mark with a few cold days and a few warm days. The modern alarmists are either stupid or running a con. The pattern is entirely natural. The alarmists of the 1970s actually had that ice age pattern to go on and thus their idea that nature was shifting to an ice age pattern had some plausibility. Today all it is the weight of a narrative. I noticed a similar pattern as well, posted this in Australian Climate Sceptics Group 26JAN2019 . . .
Un climatologue est celui qui explique que la constatation de l’inverse de ses prédictions est bien du a la cause de ses premières prédictions. Not to worry – in a few years climate scientists will make sufficient adjustments to the temperature records so this January will be the “warmest ever” in the lower 48. Since WaPo made that “prediction” in 2012 we’ve had late peak blossoms just about every year since. 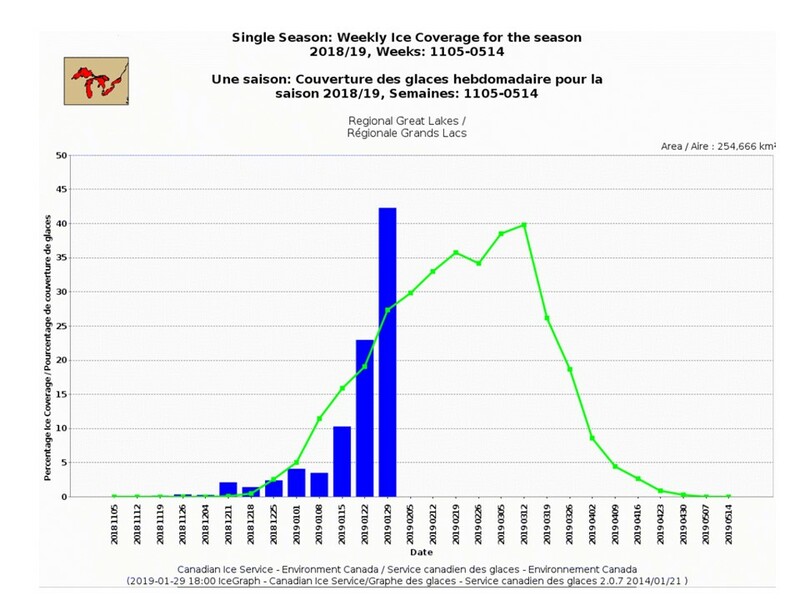 If the long-term forecast for Feb 2019 is correct – we might be in store for another late peak blossom. Keep up the good work WaPo! Of course they didn’t actually make such a prediction. Nowhere in the article does it say “global warming would cause cherry trees to start blooming in January”. And you are reduced to defending their pitiful propaganda. It states clearly that the blooming process could begin in January, Phail. Why do you defend alarmism, and attack the truth? 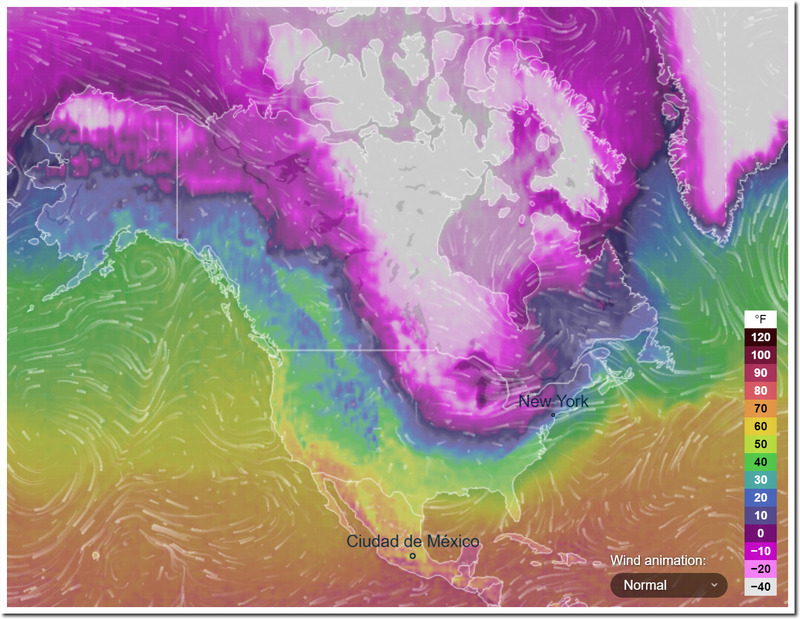 Canada is locked into a massive arctic air mass. Here in Manitoba it is -41C with a wind chill of -53C. We are pushing all-time records. Even hardy Western Canadians don’t venture out much in this weather – it just isn’t safe. My poor resident “Toto”, all 10 lbs of her, can’t stay out long enough to do her business (feet the size of thumbnails freeze up real fast), and even her resident male keeper has enough real fast. Red alerts cover the entire province this am. Not a good day for “moosin”! Get this: our national “The Weather Network” is featuring a story on early cherry blossoms in coastal BC, the only part of Canada not in the feeezer! – 13 in Toledo. -11 here at the Romulus terminal. Head for Ajax, ON tonight. Just out side Chicago, woke up 6am, -22 F, went back to sleep. Work closed Today. @2:30 pm, -16 F.
Hey R2Dtoo! Dang! That is some cold weather! Luckily for all of us, I ran across a clear explanation of why this is happening! Yeah… sure, sure. Obviously. What could make more sense than that, huh? I have been recently working on increasing my sense of cynicism, but even I had to take a deep breath when I read that phrase “misplaced Moroccan heat last month”. Extent % is doubling each week right now. The big shift this week was Lake Erie almost completely iced over. In addition Georgian Bay is almost 70% ice; Huron is closing in fast from all sides; Michigan and Superior added 10-20 miles of ice around their entire shoreline. 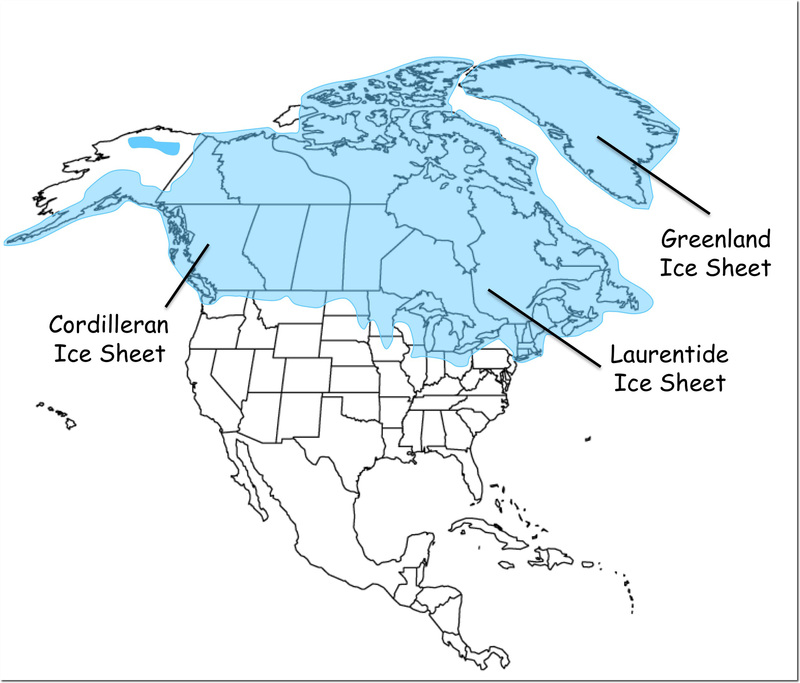 Every year the Great Lakes were ice free, were at below average levels…we were told “canary in the coal mine”…”climate change affecting the Great Lakes”. Now nothing…because global warming is off busily generating excessive snowfall perhaps where kids won’t see it. Psalmon: What does the green line signify? I guess I cropped it out…that is the 1980/81-2009/10 average by week. This is the 8th highest extent in the 39 years of the data set. If that green line is the average, with six weeks to go to maximum, it gains almost 50% on average over those six weeks. Should be interesting to watch if my assumption is true. If it get warmer, Global Warming! If it gets colder, Global Warming! Actually, they wised up and changed it to Climate Change! And yes, the climate does change, always has, always will. But man-made climate change… or technically anthropomorphic climate change? By man’s production of the poisonous pollutant (plant food) CO2? No proof, none. Ancient ice cores reveal that increases in atmospheric CO2 follow temperature increases, they do not lead temperature increases. When the natural contributors to climate change, mostly the Sun, cause temperatures to rise, the levels of atmospheric CO2 then rise also, on a scale of 50 to 100 years. Those are the facts, and they happened over millions of years, leaving the evidence behind in the permafrost, for real scientists to discover. Yeah, polar vortexs, sounds like an desperate atempt to build up an idiotic consensuss about our polar regions and what happens. The thing is, space, and then the earths magnetic core, as where the closes part of our planet to real space is in the magnetic north/south parts, where it also follows the minute movements of our magnetic pole, smal variations localy can ripple out to be bigger in an larger area, due to smal changes in the patherns, created by the close aprox to space where its much colder. This is an compromized version, but basically is true. Thats why our system is dymanic, to pick One aspect of it to monitore tells me abolutelly nothing apart from the fluctuations of certain items, witch again is an result of what happens on planetary scale, the CO2 scare is simply an idiotic perseption, I simply cant imagine that serious people in fact do think this is real, that alone tells me its an general decline in intellegence and knowledge on an scale witch is, at best amuzing, since the internett have info about what you need. Many years ago, when the CAGW (caatastophic human made etc) the first thing I did was to read about the Greenland ice core drillings witch dates back hundreds of thousand years, even there it was crystal clear, CO2 have nada to do with anything, its an result of something, but alone have no impact what so ever, I am anoyed by the shere level of stupidity we encounter this days. verbal diareea, nothing else, they dont even have the slightest clue what they talk about, other then been cocky since they have the MSM and the Politicians on this band wagon. It is an scam, period. This extreme weather is caused by geo engineering aka chemtrails. PERIOD.